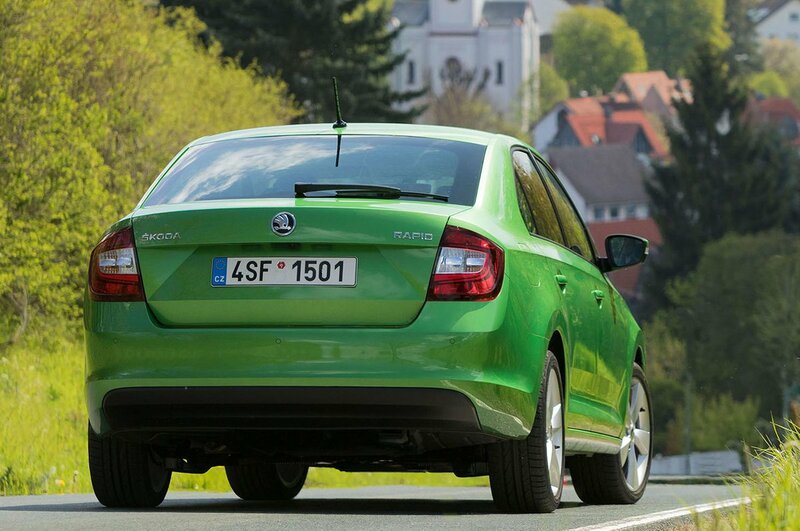 Skoda Rapid Performance, Engine, Ride, Handling | What Car? 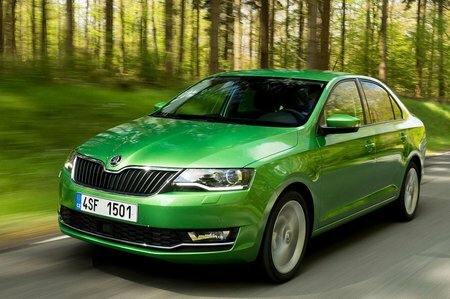 Skoda offers a few different engines options to choose from. These start with a 1.0-litre, three-cylinder turbocharged petrol, which you can order in two states of tune: 94bhp and 109bhp. We haven’t tried the 94bhp version yet, but the 109bhp option is a sound one; it’s a cracking engine that pulls willingly from around 1500rpm, and keeps doing so until it reaches maximum revs. It’ll do the 0-62mph sprint in a very respectable 9.8sec (that’s quicker than a Ford Focus 1.0 125 Ecoboost). Like a lot of three-cylinders, the engine thrums a little and sends some vibrations through into the interior when you work it hard, but it’s not unruly. Which isn’t something you’d say about the 1.4 TDI diesel. It’s rough sounding and slow, so much so in fact that we think it’s best avoided. The 1.6 TDI diesel isn’t that smooth, either, but matches the pace of its rivals including the Vauxhall Astra 1.6 CDTi 110. Most of that is delivered in the mid-range, making it a more relaxed performer than the rev-happy 1.0 petrol, and a slightly better proposition for those that regularly carry a car full of people or luggage. Every engine comes with a manual gearbox as standard, with the option of a seven-speed dual-clutch automatic gearbox on the 1.4 TDI only. The manual has a decently light and slick change, and the positive clutch bite makes smooth driving in stop/start traffic an easier affair than the auto; this tends to judder off the line. What’s the Rapid like out on the open road? Well, the handling is pretty average, mainly due to the poorly weighted steering – this saps confidence of what the front wheels are up to as you flick it in to bends. That said, once turned in, the Rapid does control body lean pretty well and delivers decent grip. It’s not as fun as a Focus, though, by a country mile. It doesn’t ride as well as a Focus, either, or an Astra for that matter. It fidgets over ripples in the road and fails to filter out the abrasiveness of sharper-edged potholes, resulting in a jarring thump through your seat. Bigger wheels only compound the issue, so avoid the Sport trim on its 17in rims. There’s loads of suspension noise, too, and both road and wind noise at motorway speeds are quite prevalent and a little irksome.